These rules apply to all Forum categories. Rules can change as needed. We take the “Be Polite & Be Respectful” rule very seriously. We do not tolerate any rudeness. Any member who is intentionally unpleasant or disruptive may be banned without warning. You may not link, in any manner, to sites or images containing p*rnography, sexually explicit, gross violence, or are determined by moderators to be detrimental to the community. Do not label other posters (Example: Lin-only fans, CF trolls, etc). No religious discussion, religious mocking or religious jokes in the game threads.There are off topic threads for this. – your post may be edited/corrected/censored by a moderator or deleted. A PM warning, possible temporary ban, the length of which will depend on the severity of the incident – your post may be edited/corrected/censored by a moderator or deleted. After this it will be assumed you will not learn your lesson and are simple here to cause trouble so you will receive a permanent ban, meaning you will never be able to visit the forum again. At anytime you may be banned temporarily or permanently and without warning this will be solely based on the moderators discretion. Added text to Rule #4: “Do not antagonize or bait other users”. Added examples to Rules 3, 4, 5, 6, 7, 8.
to ” No cursing/swearing or any substitute/variation. Keep the language to PG to be family-friendly.” The stricter rule is necessary due to wider audience of adults and children necessitating appropriate adjustment. I want to thank you all for establishing and maintaining this site. I am a senior citizen and have enjoyed the positive and supportive interactions of Jeremy’s fans from all over the world. I enjoy very much the insightful analyses (with graphs/charts/video), the helpful information on technology/psychology…etc, the hilarious postings, as well as the shared faith and group support for Jeremy and his Foundation. However, lately when I came across the long fruitless arguments, it gave me a very unpleasant experience. If this site is for people who admire and support Jeremy, we would want to travel with him on his journey – whether it is up or down. Hopefully, we learn from him as he deals with adversity – keeping his faith and hope. He is always gracious and enjoying his journey whenever he can. His prayer lists are great teaching tools for us. I am two generations older than Jeremy, born during WWII. I was taught that “if you can’t say anything pleasant/worthwhile, don’t open your mouth”. If we all want to enjoy our journey with Jeremy, we all should behave and be CONSIDERATE. The golden rule: NO disruptive person(s) is allowed on the bus, in the classroom, or at the table. Thank you for your kind words. 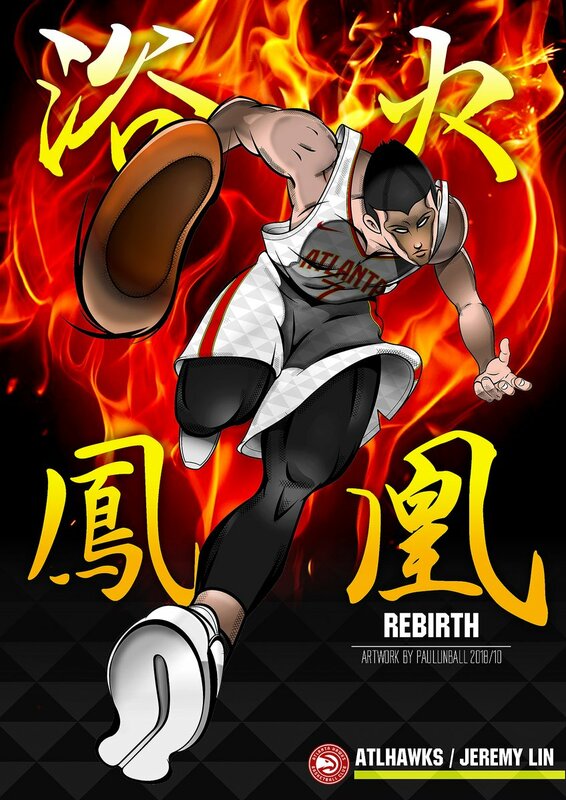 This is a good feedback for all of the posters that everyone would need to work together to be CONSIDERATE as you mentioned to make this site a positive environment to cheer and support JLin in his NBA journey. Would you mind posting in the main thread so I can help feature it for everyone to read? I am out-dated in technology and not very good with the computer (such as blogging). I sure learned a lot from the energetic young folks here (but afraid to try social media and only use cell phone for emergency – you can laugh aloud).